For the Classic box they work out at $39 (£29.69), $37 (£28.17), $35 (£26.65), and $33 (£25.13) per month. 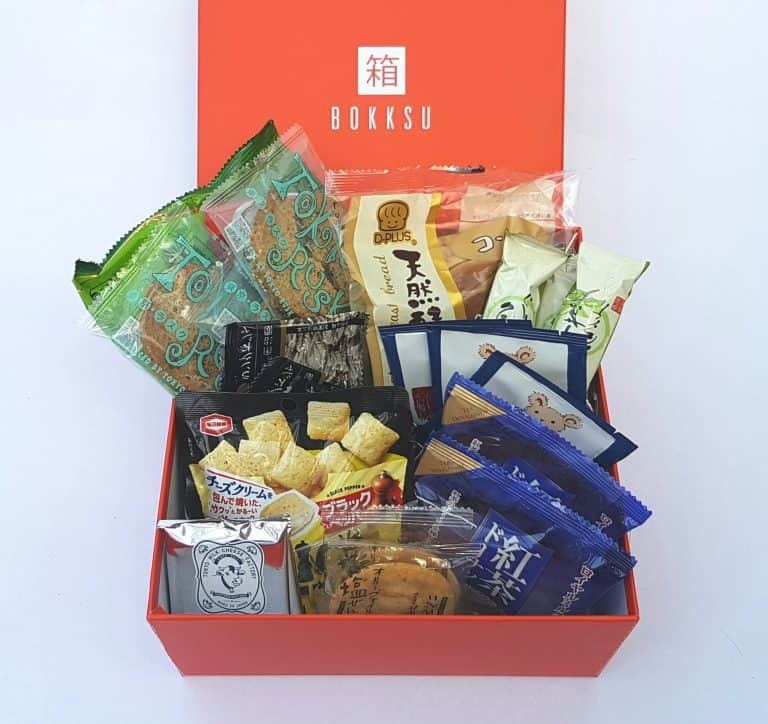 This is a new Japanese snack box for me, so I had absolutely no idea what to expect. The theme for this month is Tea Time. I didn’t know this until I opened it, so again, no expectations at all. 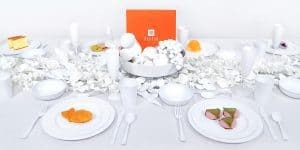 Tea has a very strong presence in Japanese culture, so I was fascinated to see how they presented this theme. The box arrived in a regular cardboard box, which is not very interesting, so here is what was inside. What beautiful box. It’s not one of the usual boxes that are folded into shape. 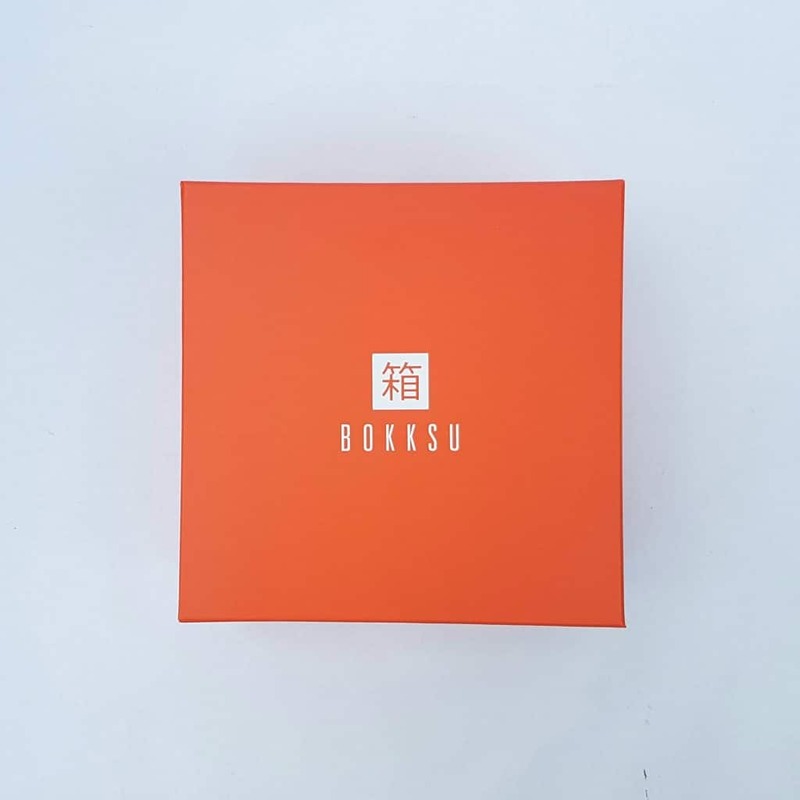 This is a proper solid item, just like a gift box. Even the presentation is exceptional. 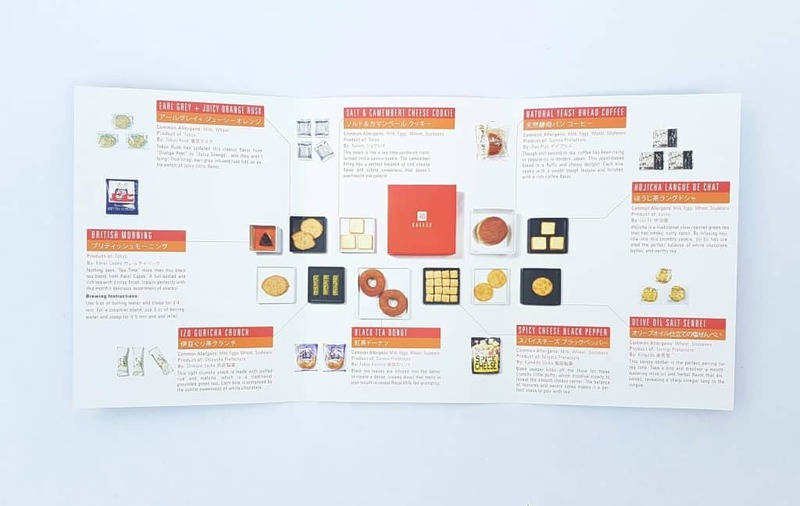 The menu leaflet describes each item beautifully. The month’s theme is also perfectly explained. Let’s have a look at the individual items. This is called, amusingly, British Morning! I love the teddy bears on the package. It’s actually a very nice black tea, which goes very well with milk. In fact, the menu suggests you can drink it both black and white. These are called Izu Guricha Crunch, and are one of the crispy light rice snacks loved in Japan. 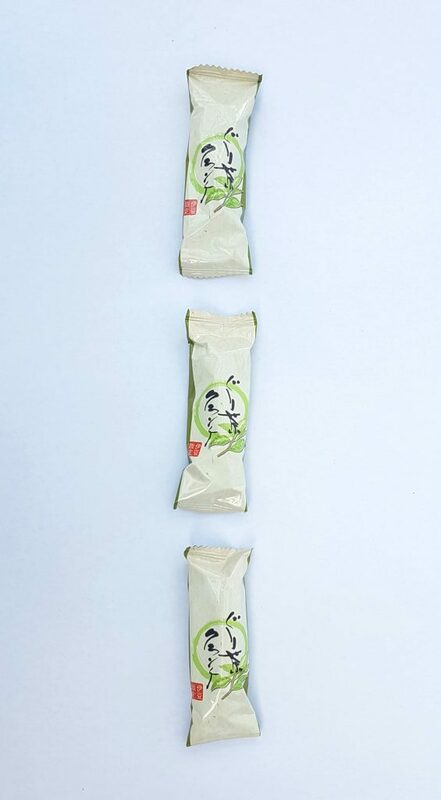 They contain matcha tea (the traditional ground green tea) and white chocolate. The taste is sweet but the matcha flavour is clear. Earl Grey & Juicy Orange Rusk are another British connection! 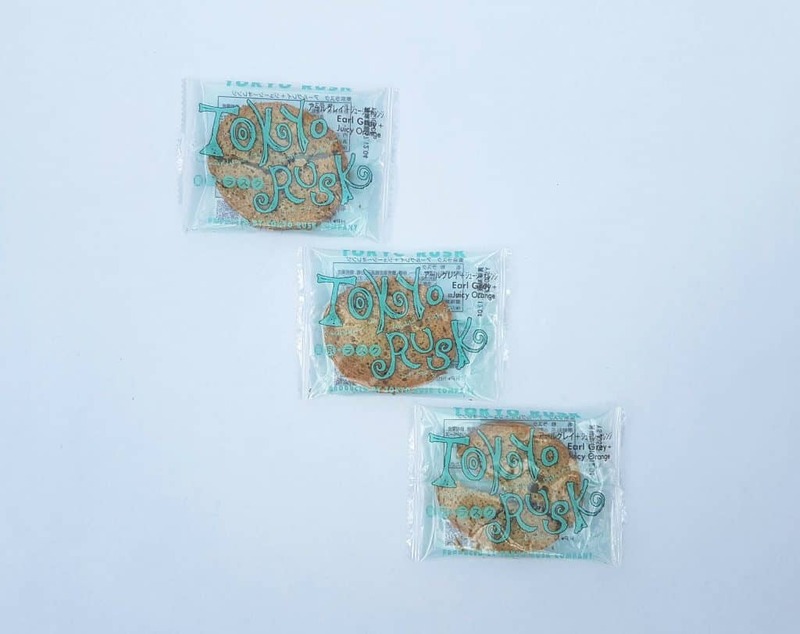 These aren’t the familiar type of rusks, but rather crisp cookies. 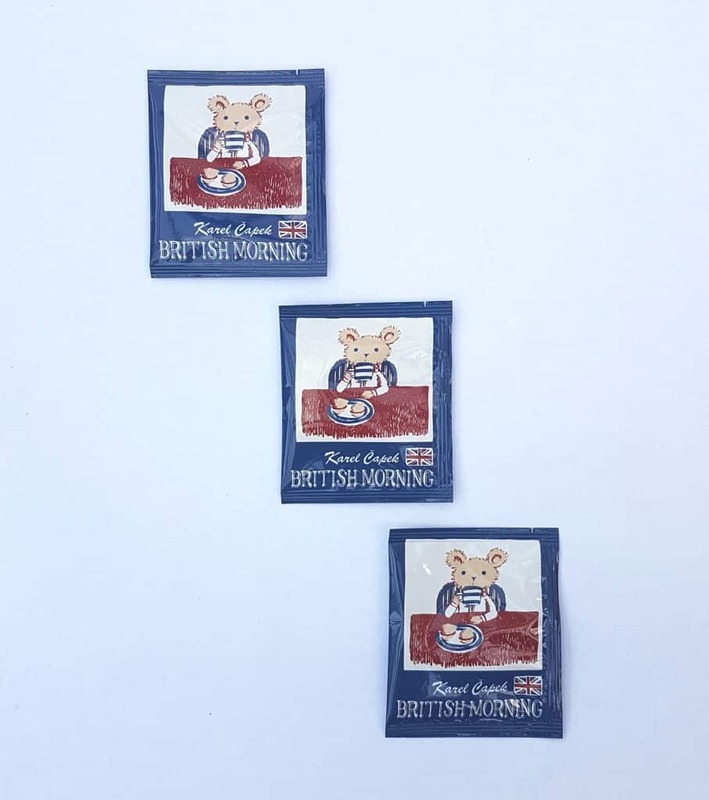 The flavour of Earl Grey goes beautifully with the orange taste, and these manage to taste both familiar and strange at the same time. 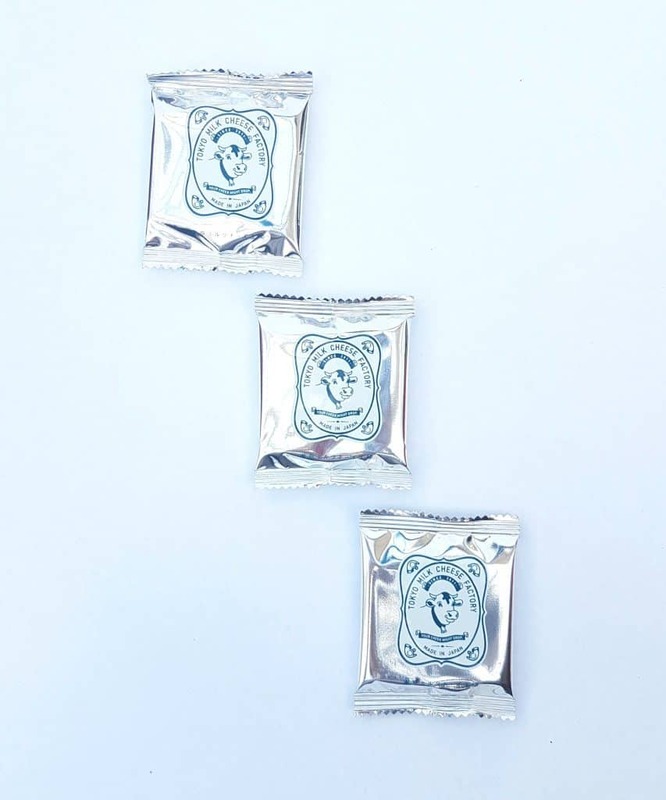 I love the packaging of these Salt & Camembert Cheese Cookies! The cookies themselves should be odd: the crispy outer contains the camembert filling which is cheesy yet sweet. It is an unusual combination, but they are actually delicious. The combination of sweet and savory is extraordinary, and they are incredibly moreish. 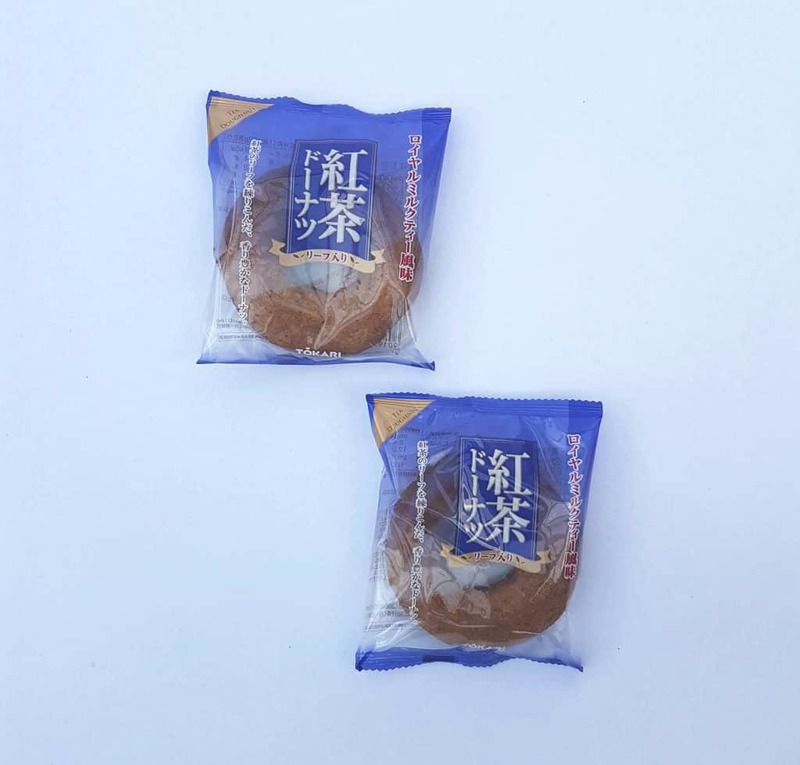 Another sweet/savory item, these Hojica Langue de Chat are sweet crumbly cookies infused with the earthy flavour of Hojicha green tea. These are Black Tea Doughnuts. 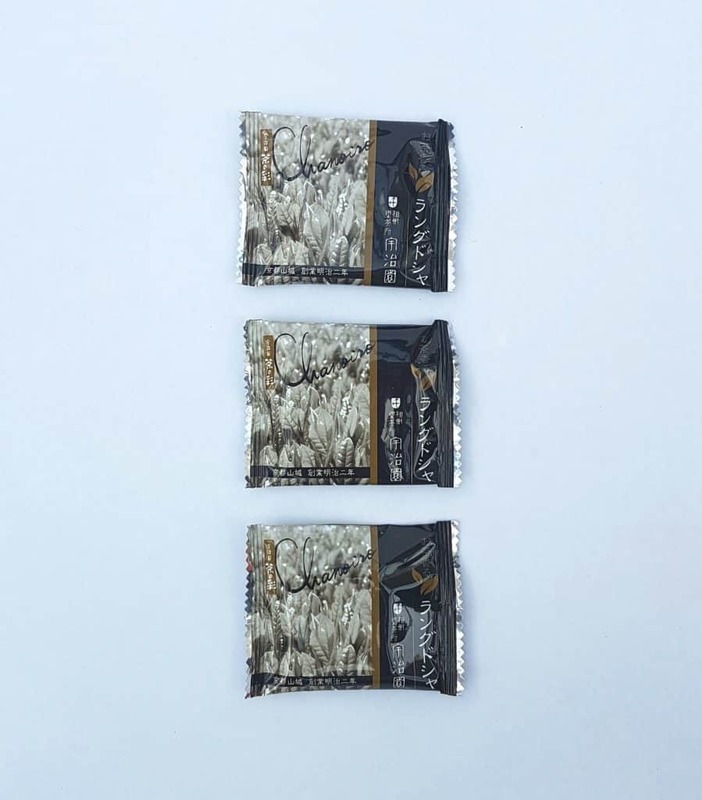 As you might expect, the tea leaves are mixed directly into the batter so you get the aromatic flavour of tea with every bite. They are quite dense, but I was pleasantly surprised at how fresh and moist they tasted. 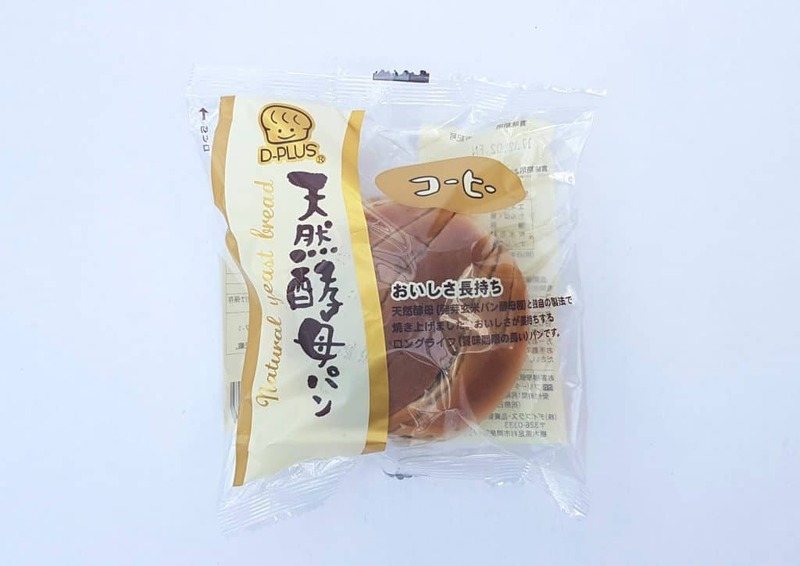 This is another bakery item, this time Natural Yeast Bread Coffee. 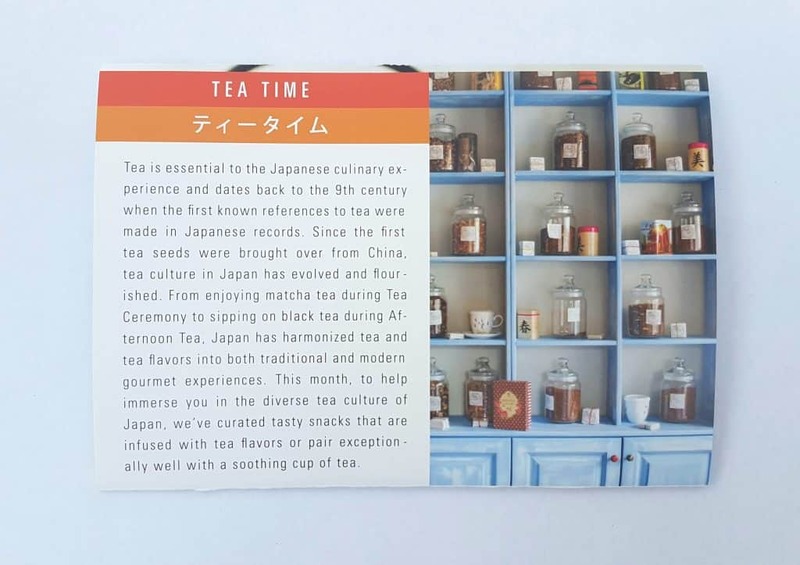 Coffee has not yet matched the popularity of tea in Japan, but it is becoming ever more common, and this is an unusual example of how the Japanese have incorporated the flavour into a product. Again, remarkably fresh-tasting for a packaged cake, it is sweet but has a richly distinctive coffee taste. Spicy Cheese Black Pepper are little cheese-filled puffs with a black pepper kick. Very tasty, and though they are paired with tea here, I’d quite happily eat these with a nice glass of red wine! 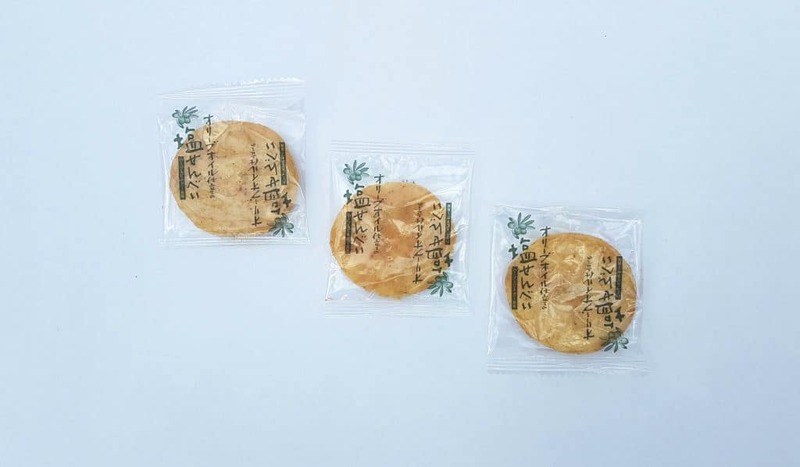 Finally, another savory item, Olive Oil Salt Senbei. These light and crunchy biscuits have a flavour of olive oil and herbs with a sharp (but not too sharp!) vinegar taste. Again, an unusual pairing with tea, but the do taste very good! This bag of mini matcha KitKats was a little bonus gift as this is my first box. 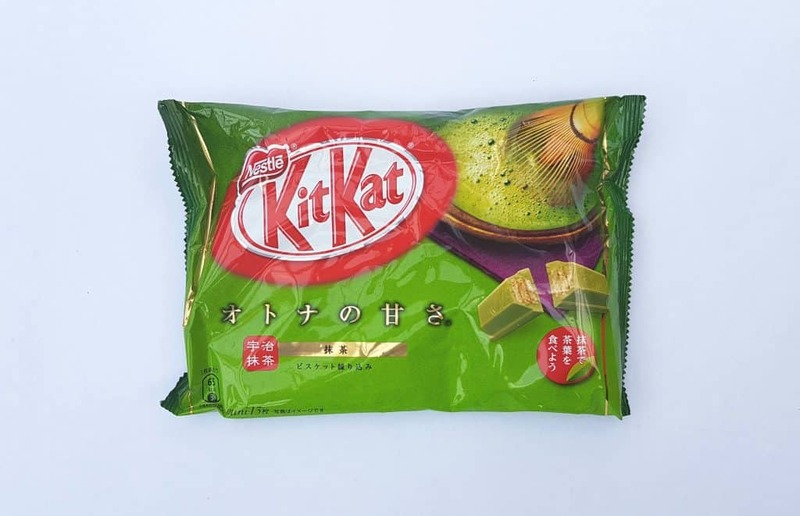 Japanese KitKats are amazing; they have endless weird and wonderful flavours, and the matcha version are some of the most delicious. Well then, what a huge treat this has been! First of all, may I say this is the most beautifully presented thing I have ever seen. Everything was packed so beautifully I almost didn’t want to take everything out! Usually I don’t really like things being sent in plain boxes, but the box is so gorgeous there’s no way it should be exposed to the rigours of international travel. The menu is incredibly well laid out. It looks amazing, and there’s the perfect amount of information. It also lists allergens, which is fantastic. Anyway, enough raving about how pretty it looks, what about the contents. I actually thought it was kind of funny that the tea was a Japanese version of British tea! But despite the fact that tea is such a big thing in Japan, I still very much think of tea, and especially afternoon tea and cakes, a very British. However the various cakes and biscuits were firmly in the Eastern camp! 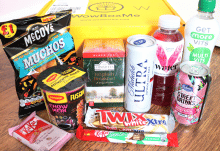 The combinations of flavours are entirely non-British, and extremely delicious. The camembert ones were particularly good! The only things I didn’t feel quite so enthusiastic about were the doughnuts and coffee bread. They tasted just fine, despite being prepackaged, but because I love to bake, I have a thing for freshly cooked baked goods. To me, there is something strange about a doughnut in a plastic package. Don’t take that to mean I didn’t like them, it’s just purely personal preference. The biscuits/cookies I could eat all day! Going back to the afternoon tea thing, I first thought it seemed strange to have savory items to go with tea, because I always think of tea and cake. But of course even in a traditional British tea you have savory items (usually sandwiches) as well as cake, so it makes perfect sense. Except for the doughnuts and coffee bread, there are three of every item, so you can have yourself three delicious little afternoon teas. 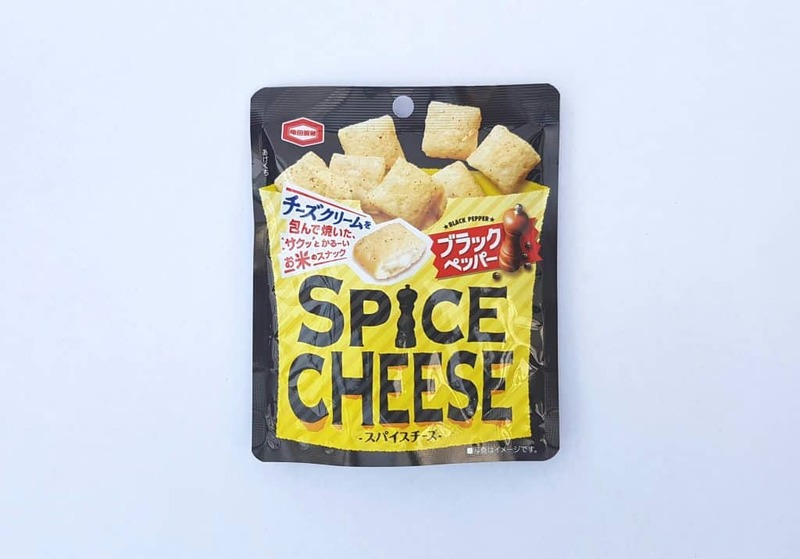 Oh, and the package of cheese and black pepper bites could be easily divided. 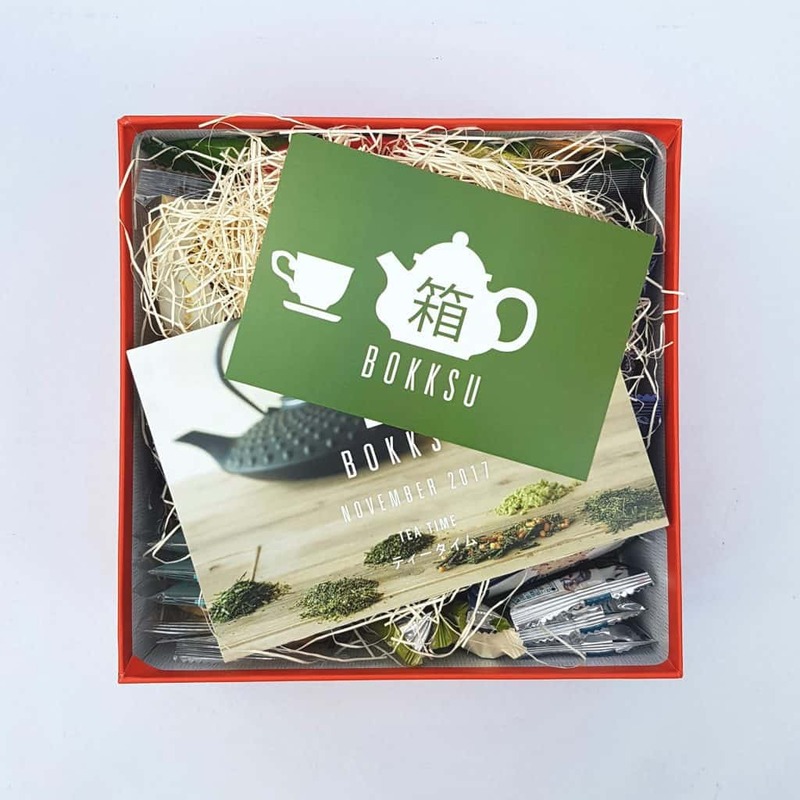 This month’s box is afternoon tea with a wonderful Japanese twist. For what it’s worth, I had a little Google to see which, if any, of these items were available in the UK. The short answer is ‘not really’, and the slightly longer answer is ‘only if you want to pay a ludicrous amount of money and then wait ages for them to arrive from Japan’. 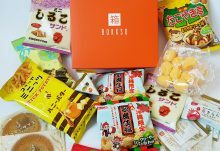 There are a lot of Japanese snack boxes out there, and I love them. I love the fun packaging and the unusual packaging and flavours, and of course, I love Umaibo. But Bokksu is not like that. These are not snacks or candies you pick up in the grocery store. It is not particularly cheap, but then these items are near-impossible to source outside Japan. 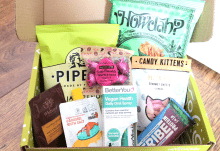 And this box is something you can really take time over to enjoy, while discovering new flavours and combinations. I think for anyone, whether you or a friend, who enjoys and who is interested in the finer side of Japanese food culture, this is worth every penny!